Seacom plans to upgrade its subsea telecommunications network to newer fibre-optic switching technology later this year that will more than double the capacity on the system. CEO Mark Simpson says the company will begin tests in the next couple of months with a view to upgrading the US$600m system from 10Gbit/s to 40Gbit/s optical-fibre technology. The move comes as the third anniversary of the launch of the system, which brought down bandwidth prices for SA Internet users, nears. The Seacom system has almost 1,3Tbit/s in design capacity between SA and Kenya when using its current 10Gbit/s technology. Moving to 40Gbit/s technology will more than double the design capacity, Simpson says, taking it to at least 2,6Tbit/s. The current design capacity of the system between Tanzania and India and between Kenya and France is 640Gbit/s, and will also more than double with the upgrades. In the next 12 months, Seacom will investigate the possibility of installing the latest 100Gbit/s technology, which would at least double the capacity again, to more than 5,2Tbit/s, at least on the SA-Kenya leg. The reason Seacom can’t say exactly what sort of capacity improvements will result from the upgrade is because of the distance between optical repeaters and other technical issues. “We’re about to do proof of concept in the next few months on the 40Gbit/s stuff and that will help us understand what we can do next,” Simpson says. Another investment under consideration is the extension of the system from its landing station at Mtunzini on the KwaZulu-Natal north coast around the southern tip of Africa to the Yzerfontein landing station north of Cape Town. Yzerfontein is where the newly built West African Cable System (Wacs) lands. Seacom has bought capacity on Wacs, which has a design capacity of 5,1Tbit/s, to provide an alternative network route for its clients, which are mainly Internet service providers and telecoms operators. Eventually, it expects to acquire about 70Gbit/s of capacity on the West African system. However, Simpson says the Mtunzini-Yzerfontein subsea leg may not be built if sufficiently cost-effective terrestrial links between SA’s east and west coasts are built in the next two years. 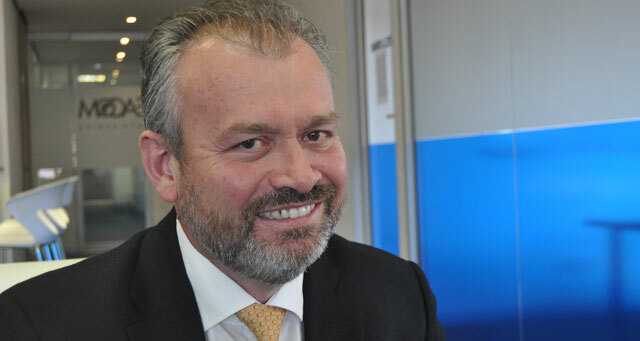 Seacom is particularly interested in fibre networks that are being built by FibreCo — a joint venture between Cell C, Internet Solutions and Convergence Partners — and by Dark Fibre Africa (DFA). Simpson says Seacom is transforming itself from a subsea cable-construction company to a telecoms operator with a pan-African presence. In this regard, it is keen to invest and support terrestrial fibre infrastructure development, he says. A key focus for Seacom is on wholesale cloud computing services to support small and medium enterprises across the continent. It recently formed a new subsidiary called Pamoja which it wants to see help support African technology companies to develop and offer cloud-based services. Despite the huge investment in subsea capacity since Seacom went live in 2009, Simpson does not believe there is an overinvestment in infrastructure. He says there may be a glut in the short term, but he thinks growth in demand for data on the continent will make the business case work for cable operators.